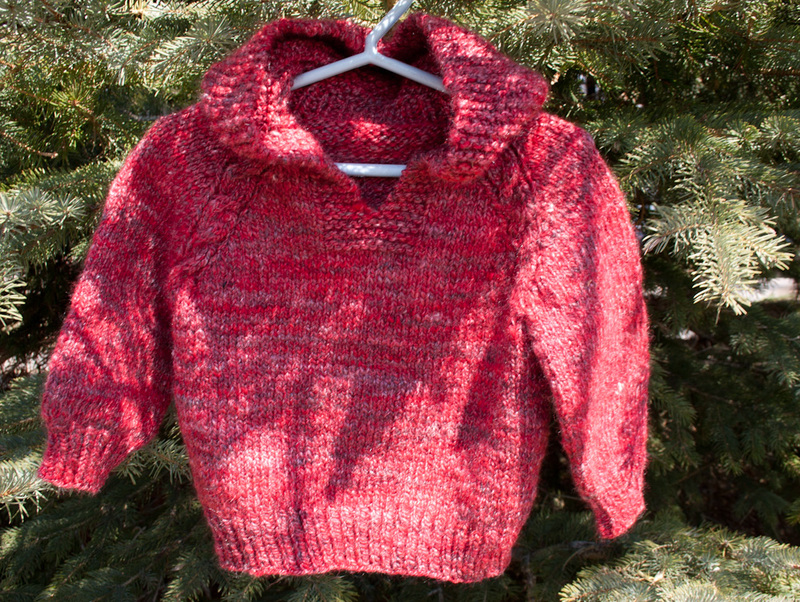 I do often knit full size adult sweaters in these luxury yarns. 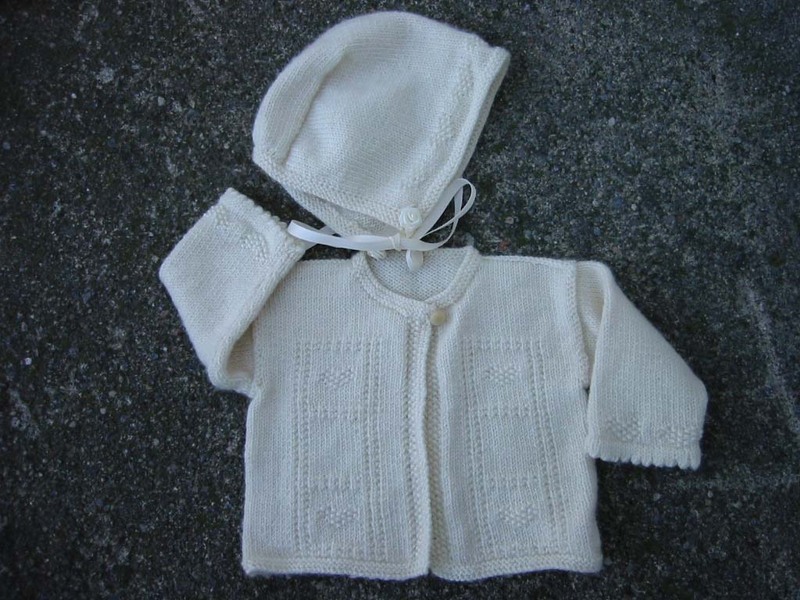 For a custom order, there are so many factors to consider including style, size, colour, texture, shape, fiber and so on that it would be difficult to present them all to you here as individual products for you to order. 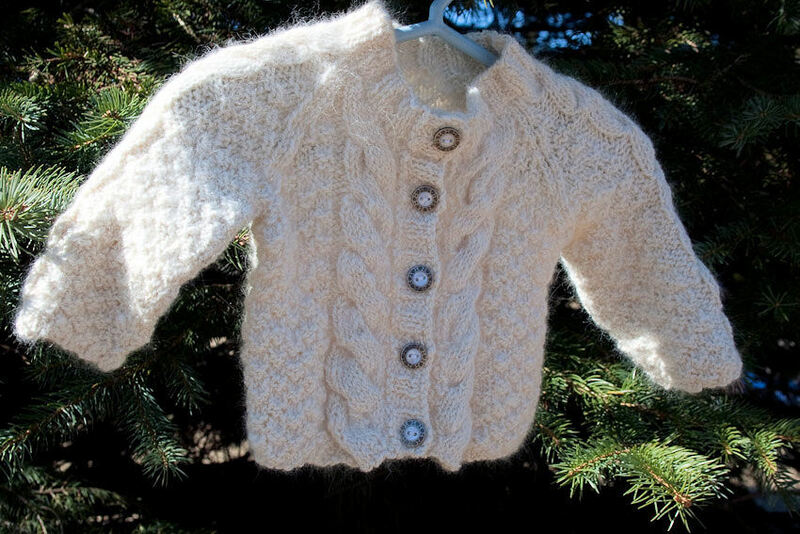 Therefore if you are interested in having a custom handknit sweater made it’s best to contact me and get a dialogue started about what you are looking for so I can give you an estimate. My expertise in this area is, again, traditional. I have studied extensively, the history of traditional knitting and practiced, on many garments, the traditional methods of hand knitting. If you are interested in ordering a traditional garment you can be sure that it will be designed and created, as closely as possible, in the historic tradition. Because I am a designer and pattern writter I can often design something just for you. I am also a dyer and spinner or yarns. PLEASE NOTE: I am not taking any new orders for custom work at this time. 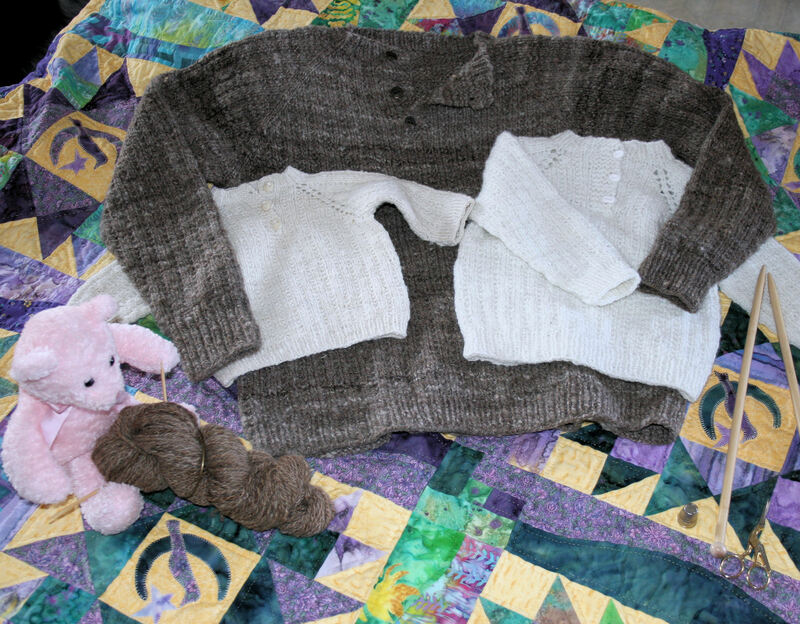 the Irish Aran sweater, sometimes knows as the “Fisherman’s Sweater” with their stunning cable work and complex textures and lovely Irish wool. 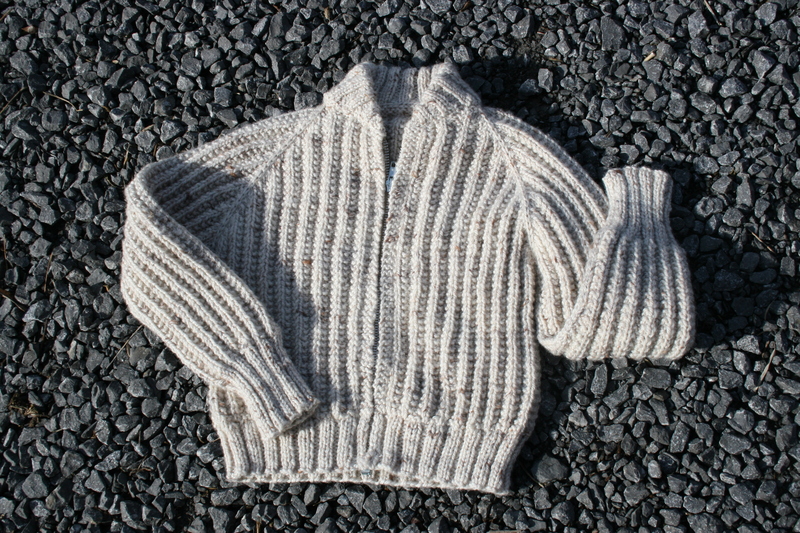 The Aran sweater takes its name from the Aran Islands off the west coast of Ireland. Originating in the Channel Islands, the fisherman Gansey (Guernsey) was tightly knit in patterns that told a story and were passed on through the generations. Each fishing community would have its own identifiable pattern. It was often possible to tell where a fisherman came from by the pattern on his sweater. The beautiful colour work patterns of the Fair Isle sweater originating on a tiny island in the north of Scotland. Traditional Fair Isle patterns have a limited palette of five or so colours, use only two colours per row, are worked in the round into some very complex designs. My personal favorites are the Historical lace patterns of the Shetland Isles / Scotland, Estonia and Orenburg / Russia. Handknit lace is more often used in shawls and scarves but can also be added to handknit sweaters as details with outstanding results. The process of designing or even choosing the right design, finding or handspinning just the right yarn for a perfect fit with the design and then putting it all together stitch by stitch to a custom fit is a big project and takes a pretty significant amount of time, energy and expertise. 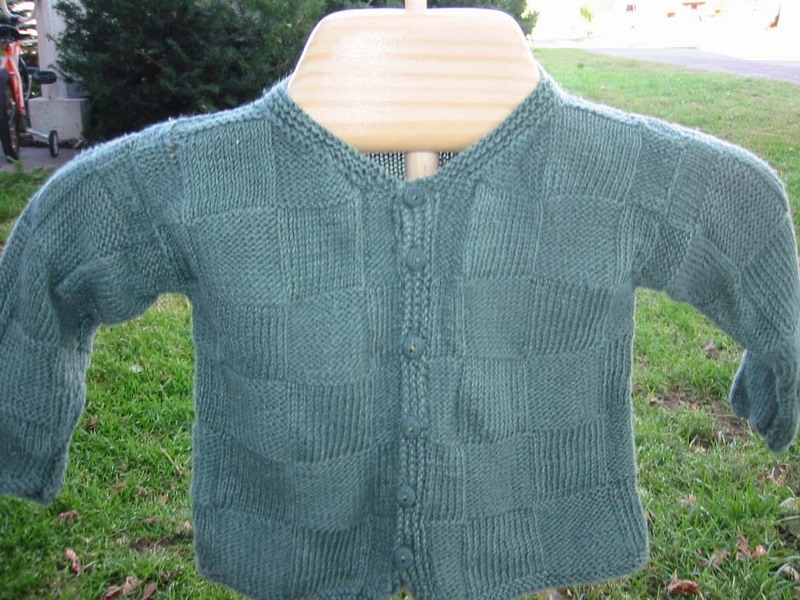 Therefore you should be aware that any custom orders for full size hand-knit sweaters should be made well in advance of the time you will need it. 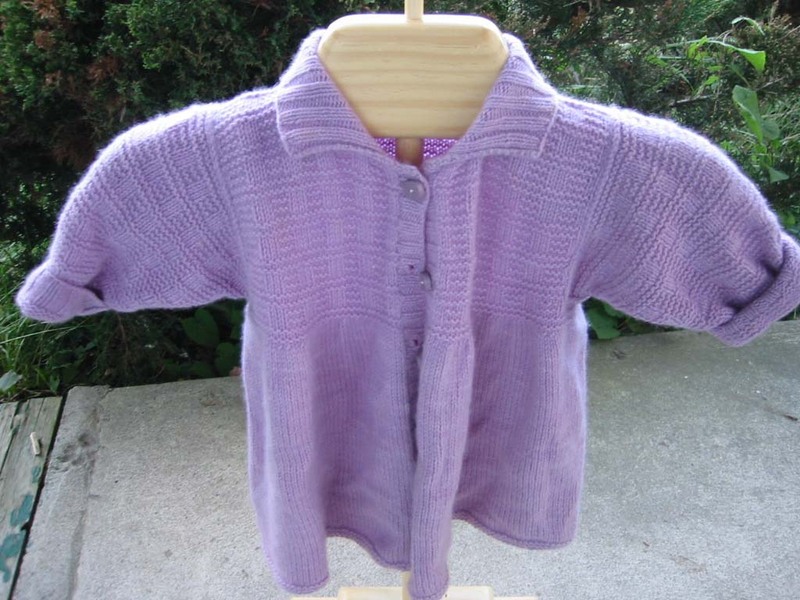 Prices for the custom hand knit adult sweaters will vary greatly depending on the size, complexity of the design and the actual yarn or fiber used in the garment. 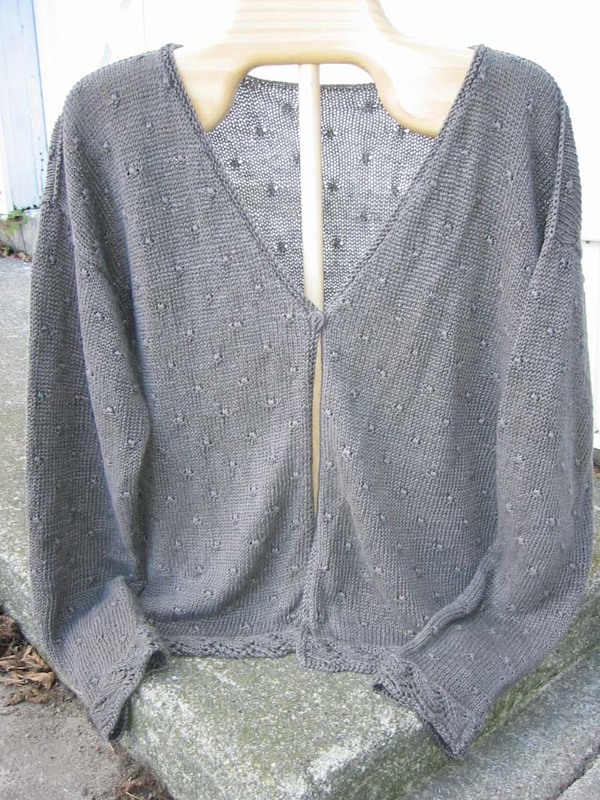 For example, a simple hand-knit merino wool sweater in a ladies small would be at about $250.00. 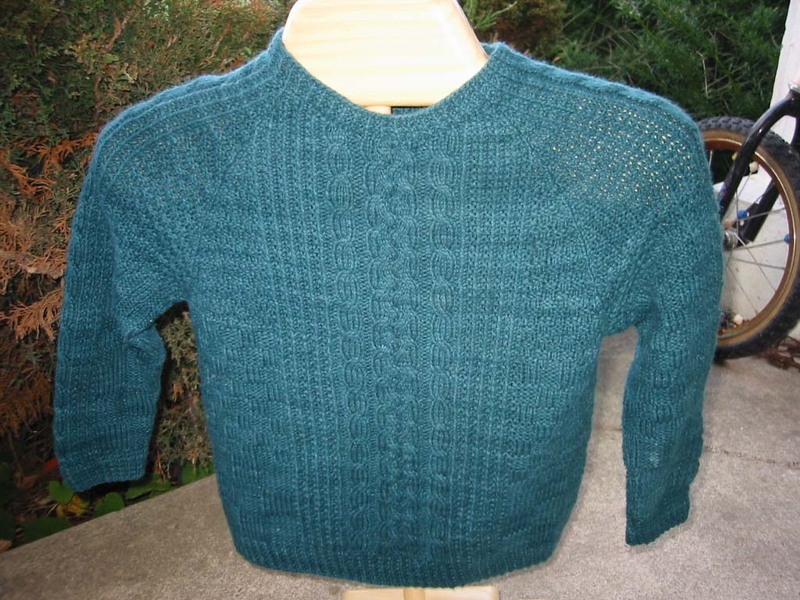 Larger sizes, additions such as a hood or longer length etc would all take more yarn and more knitting… thus would be a little higher in price as would a sweater in a more expensive luxury fiber simply because of the cost of the fiber or yarn. 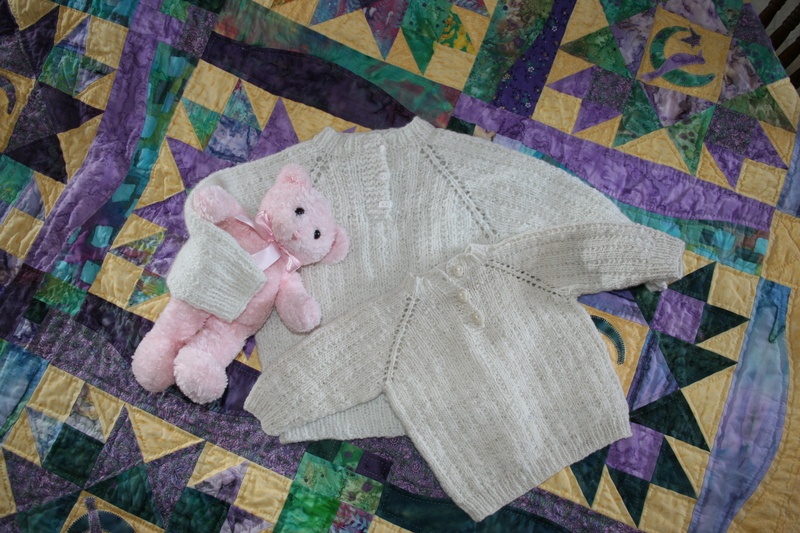 For example the same size in pure cashmere yarn would cost $500.00 or more. 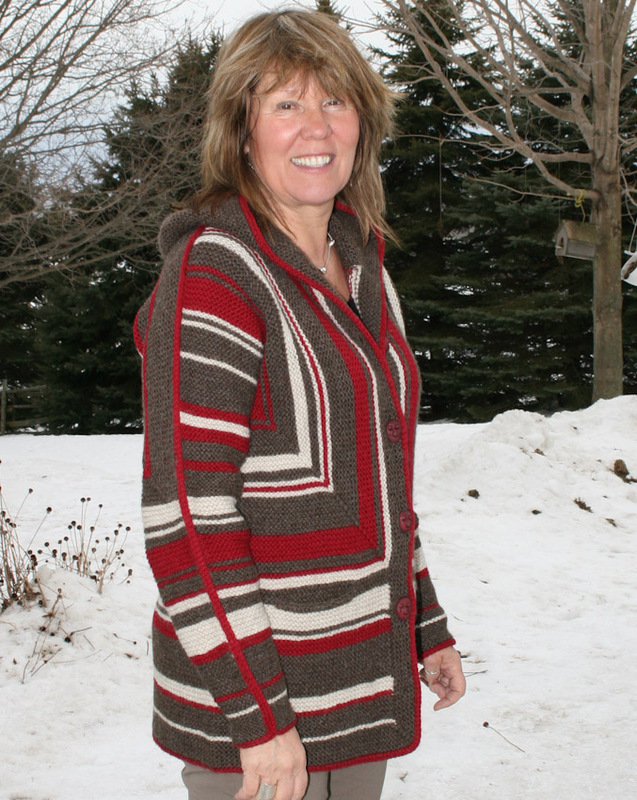 Larger sizes, pocket, hoods, tunic lengths and the value of the various fibres such as Alpaca, Silk, Angora etc would all affect the cost for having the sweater handmade for you. I am not taking any custom orders at this time. Hi Bear, thanks for your interest. I am sorry but I’m not taking any new orders right now. 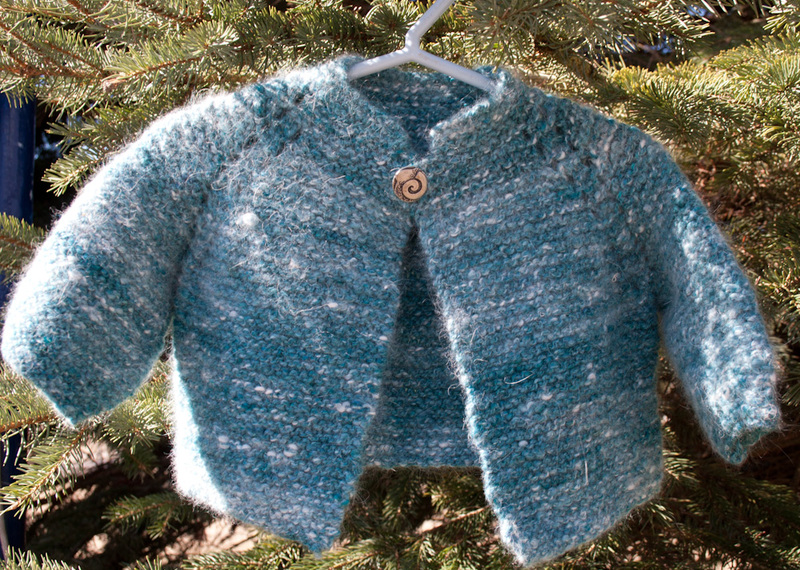 How would you price handspun alpaca yarn used for hand knit sweaters?? Hi Karen, all of the handspun yarn is priced by the cost of fiber plus the time it takes me to spin it. I try to make about 4 or 5 dollars per hour. LOL, I don’t do this to make a living it’s just because I love to do it. I was looking for ways to advertise my skills as sweater maker. If you could, I would be pleased if you could send me referrals. Thanks Toni, I do occasionally get requests for custom work. As I do not take custom orders right now I usually just refer them to Ravelry.com. So you could see, if you could replicate? 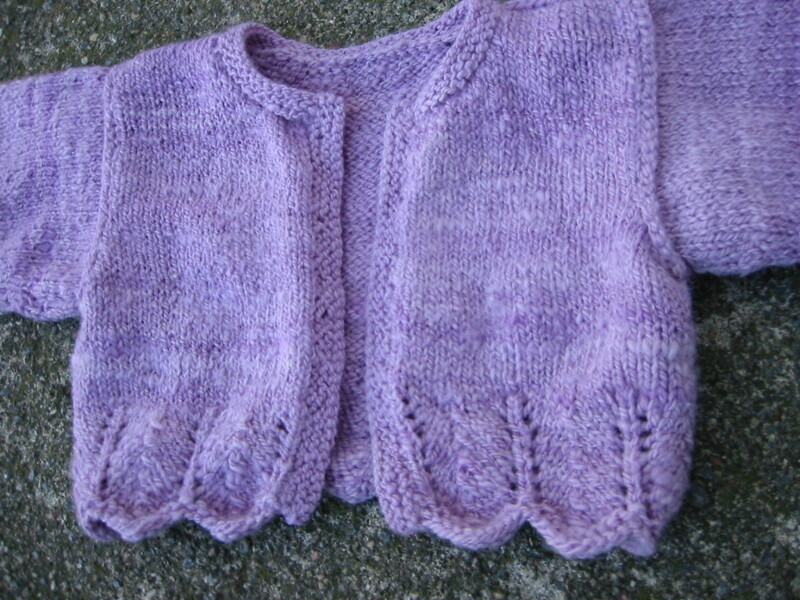 Hello my name is Wendy Pliner and I would like to give my daughter a hand knit sweater for her birthday. Could you please email me when you will be taking orders? My daughter is one of a kind and deserves a one of a kind gift. Your work is beautiful and I’d be honored if you would create a special gift for my daughter. My email is wendy.pliner@gmail.com. Thank you. My phone number is 917 763 2284. Hi Wendy, such a lovely note. I have replied to you by email.